Pfisterer offer a wide range of insulating poles suitable for high voltage detectors with different HV applications including rail power systems. Insulating poles are hand-held devices for the operations and testing of live components with nominal voltages of 11kV, 33kV, 66kV and up to 132kV. The insulating poles are compatible for us with all KP-Test 5 Series allowing all voltage detectors to be optimised for particular applications on the system. The insulated poles are used by personnel carrying out live operations such as HV high voltage drop-out fuse replacement, live-line tapping at earthed locations or ABSD switching on earth poles. 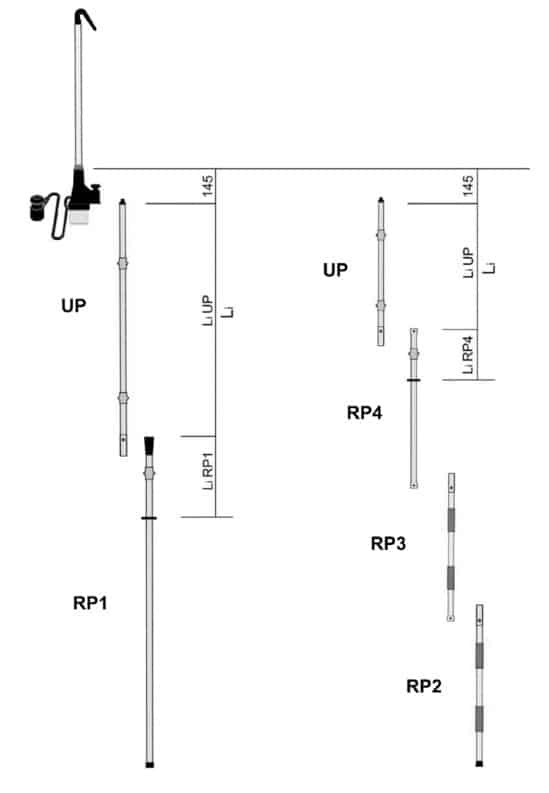 One-piece insulating pole with end cap, hand guard and hexagon connection for KP-Test 5 Series voltage detectors. Insulating pole base part with end cap, hand guard and plug-in connection for insulating pole upper or intermediate parts, for multi-piece insulating poles. Insulating pole upper part for multi-piece insulating poles. With hexagon connection for KP-Test 5 Series voltage detectors. Insulating pole intermediate part for multi-piece insulating poles. Plugs in between insulating pole upper part and base part. This insulating pole extension makes it simple to extend the Pfisterer insulating poles of voltage detectors. The insulating pole extension is screwed onto the existing insulating pole. This does not reduce the minimum insulation length. 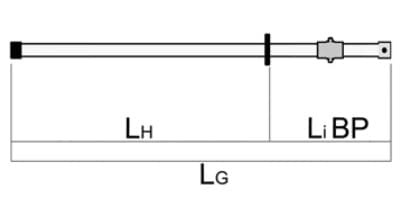 Minimum length of insulating elements Li by standard EN 61243-1. 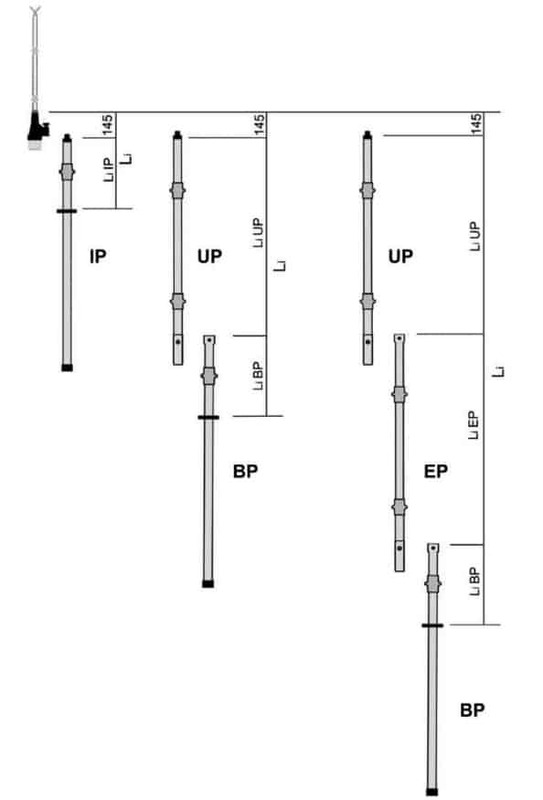 These insulating poles are applicable to all KP-Test 5R voltage detectors series. Optimal way for laying out voltage detectors for respective applications. Insulating pole base part with end cap, hand guard and plug-in connection for insulating pole upper parts UP. Insulating pole base part with end cap, hand guard and plug-in connection for insulating pole intermediate parts RP3. Insulating intermediate part with plug-in connection for insulating pole intermediate parts RP4. Insulating base part with plug-in connection for insulating pole upper parts UP. Depending on national regulations in the country concerned, in-service tests are required for voltage detectors with nominal voltages above 1 kV. Pfisterer have been successfully carrying out these in-service tests on their own test equipment for many years. The voltage detectors are tested according to the specifications and immediately adjusted if necessary.